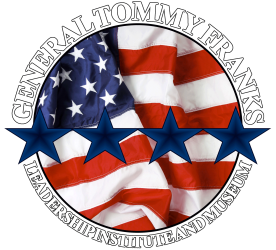 Four Star Leadership with General Tommy Franks is a world-class summer leadership program which provides 70 of the top performing high school students from around the country a free, life-changing educational opportunity. Four Star Leadership is accepting applications online now for the 2017 program to be held July 9-14. Selected students are hosted by Oklahoma Christian University on the campus in Oklahoma City and travel throughout the state on various excursions to meet and engage with national and international leaders including politicians, dignitaries, kings and sports champions. Attendees have the chance to earn more than $15,000 in scholarships as well as gain internships and receive letters of recommendation. All of this is provided a no cost to the student. If you’re a student and would like to maximize your leadership abilities, apply online today! If you’re a parent or an educator who knows a high school student with strong leadership potential, nominate them online at FourStarLeader.com. Interested in sharing your leadership wisdom as a speaker at our Four Star Leadership program? It only takes a few moments to fill out our speaker form! To learn more about the Four Star Leadership program, visit FourStarLeader.com.